All of these tracks are live, but if you’ve listened to The Madeira’s Center of the Surf that shouldn’t phase you whatsoever. Both are engineered by Mark Linett whose credentials sport names like Beach Boys, Red Hot Chili Peppers, Los Straitjackets and 3 grammy awards. I wouldn’t say it sounds exactly like Center of the Surf, but I have a hunch that he was trying to find a solid middle ground between bands to make it all sound like one event, and giving Venturesmania the same treatment as The Madeira probably wouldn’t give us that great golden-age Ventures guitar sound that they nailed on “00-711”. I’m not going to do a play-by-play here, because in a sense I already have back when I reviewed the convention itself (Day 1, Day 2). There are a few bands missing: The Huntington Cads, The Dynotones, and I don’t know if the Astronauts tribute counts as a band. Those are disappointments, for sure (though they chose not to be included), and unfortunately Par Avion and the El Caminos only had one track each rather than two like the rest. However, it’s such a great, diverse lineup that it’s hard to complain, with a great mix of trad groups, punk-edged trad groups, progressive groups, and loud and powerful groups. Speaking of the Madeira, I was thrilled to find that the one track that was strangely missing from Center of the Surf, the brutal “Caravela”, was included on this record. I love that among the songs chosen is John Blair’s educational moment playing Duane Eddy’s “Yep” into The Surfaris’ “Wipe Out”. “Point Panic” also sounds great -- it’s not one you hear covered that often and it sounds so vivid (with some rippin’ sax in there). It’s like the 45 came alive. Also as somebody waiting patiently for the new Mystery Men? album, I skipped right to those tracks to tide me over. 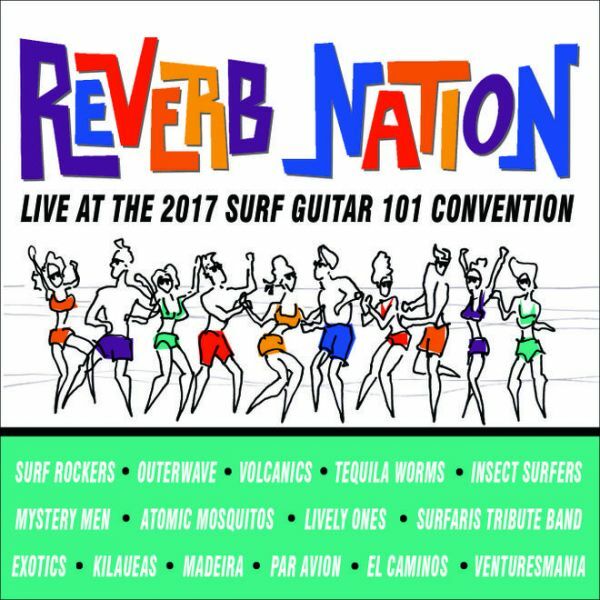 I know that John Blair had a big stake in the creation of this CD, and naturally he compliments the CD with liner notes that fill you in with the story of surf music and Surfguitar101. I do feel like there’s an elephant in the room though: this album inexplicably shares a name with a popular music sharing social network site. And while the cover art is OK, it seems strange to have a cover like this rather than something that actually sets the scene of the event (most people were fully clothed and not quite sporting beach hunk bodies). At the event there’s a ton of beautiful guitars, an awesome wall of amps and reverb tanks, records, fans... I only dwell on this because like I said earlier, compilations are great at introducing people to this music and Surfguitar101, and I don’t think the packaging is doing its job in inviting them. But to wrap it all up, this is worth it both as a compilation and a commemoration. 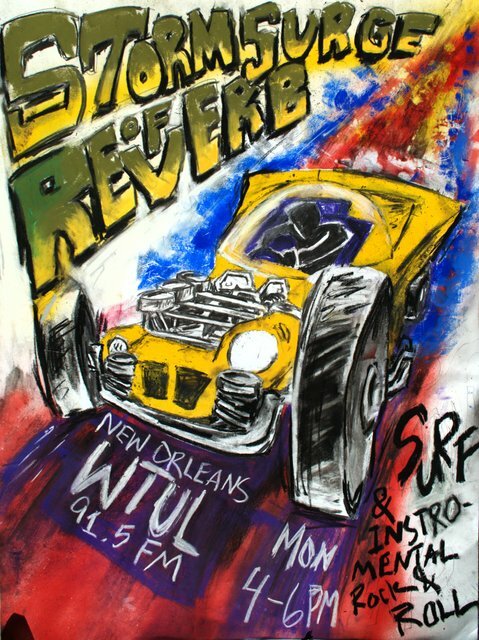 It all sounds awesome and with a mix of old and new bands playing old and new songs, it serves as a good introduction to anybody just getting into surf. I have a feeling this will trickle over to a bunch of the usual surf shops, but it's also on Amazon.